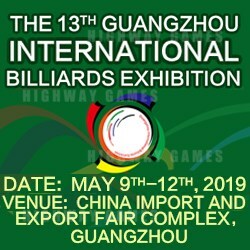 Being one of the most professional billiards trade shows in the world, GBE is widely considered by insiders the catalyst for better business. The 2018 show saw 105 exhibitors, over 8000 registered buyers and a 10,000 sqm show floor. Exhibitor sectors include billiard tables, cues, balls, table cloths, accessories and other game room style attractions.